You don’t have to continue to live with thinning hair. Check out this guide to DIY hair loss products and get your full head of hair back! 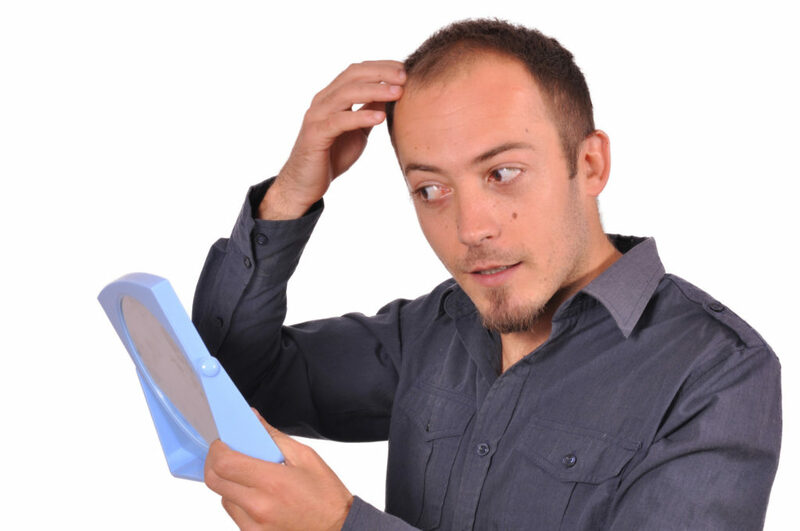 Nowadays, hair loss has become a prevalent problem for both men and women. Many factors may lead to hair fall and hair loss. The first major cause is genetics. Your hair could be falling off due to some genetic factors. Hair loss may also be due to hair styling, like using some gels or excessive brushing, tight braiding or even heat exposure. A primary cause may be due to scalp fungal infection leading due to alopecia. Alopecia is a hair disorder where a person suffers from severe hair loss. Another cause of hair loss is stress or due to a poor or deficient diet. There are very many categories of life solutions or hair loss products you may use to help curb hair loss. Obviously you have your generic options like propecia, but we discuss some more natural options below. Onion is one of the most effective and powerful hair loss products. It is organic, readily available and you can efficiently use it yourself. You can use onions to prepare home remedies, and for this, you will need a medium red or yellow onion. Peel it off and cut into small pieces. Mash it to make a smooth paste then take a bowl and extract onion juice with the help of a strainer. Use the onion juice extract to curb hair loss in various ways as shown below. For this first life hack, apply the onion juice extract directly on your scalp and gently massage it for five minutes. Leave it in for five to ten minutes and then rinse it off with water. Afterward, wash your hair with shampoo. Try this homemade product for three to four times in a week. For the second DIY recipe, you will need coconut oil and onion juice. In a bowl, add one tablespoon of onion juice and in it add a tablespoon of coconut oil. Mix well and apply this mixture on your scalp. Massage it gently for 5 to 10 minutes and leave it for about an hour. After this, wash your hair with your regular shampoo. Use this DIY remedy once or two times in a week. In this third tip, you will need organic honey and onion juice. Take a bowl and using the ratio of one is to two of the onion and part honey, add one tablespoon of onion juice and two tablespoons of honey. Mix well and apply the mixture to your scalp. Massage it gently for five to ten minutes and then leave it for half an hour. Use this remedy only one or two times in a week. One of the number one natural remedies you can use for hair loss is essential oils. Essential oils are plant-based compounds that have been distilled to where you have the oil-based compounds that work as a natural form of medicine. Rosemary oil is one of the best oils for naturally thickening the hair and preventing falling of hair. Take some rosemary oil and massage it in your scalp together with some olive oil, and see significant improvement after a while. Rosemary has the properties of being strongly naturally anti-inflammatory, as well as nourishing your body’s hormones that are key when it comes to hair loss. Rosemary can be used alongside cedarwood and clary sage. Cedarwood acts by reducing stress. Clary sage works by reducing stress and helping to balance out estrogen and progesterone levels in the body. Using essential oils, you can make a natural remedy as a homemade hair thickener. Use one and a half ounces of jojoba oil. Add grapeseed oil, cedarwood oil, rosemary oil, and sage oil, 30 drops of each of those. Mix the oils in a container and then rub it on your scalp three times a week for 20 minutes. You can leave it in for an hour or two then wash your hair or leave it in overnight. Use these hair loss products regularly. What you intake affects the health and growth of your hair. There are some foods you need to eat and some you need to stay away from when it comes to hair loss products. So many of the foods we’re eating, like meat and dairy products, are loaded with hormones and steroids and other additives. If you are going to eat meat and dairy products, make sure those foods are certified, organic or wild, not having been exposed to herbicides, pesticides, or steroids and other types of chemicals. Pumpkin seeds are rich in zinc, fiber, and other nutrients that can help with thickening hair and reduce hair loss. Wild-caught fish like salmon are very high in omega-3 fats which helps in general body wellness. This contributes to healthy and strong hair. Green tea extract contains a compound called EGCG that stands for epigallocatechin. EGCG is an incredible antioxidant-rich compound that can stop hair loss and protect your body from the damaging side effects of high cortisol and other hormone imbalances in the body. Chia seeds are high in omega-3s as well, which are great for the skin, hair, and nails. Flax and hemp follow in the same suit. Drinking bone broth on a daily basis is excellent because it contains collagen which can naturally help thicken your hair and reduce hair loss. Pumpkin seed oil is very rich in zinc. Take one tablespoon of pumpkin seed oil daily. Due to the zinc and some antioxidants present, pumpkin seed oil has been shown to help naturally thicken hair and stop DHT production in the body, all while supporting the immune system. The next is B-complex vitamins. In general, B-complex vitamins help strengthen your skin, hair, and nails. When you’re buying vitamins and supplements, you need to make sure they are all certified and organic. Another supplement is Aloe Vera juice. Because it contains polysaccharides, the extract has been shown to not only increase cell communication in the body but also acts as a natural hair thickener. Aloe Vera juice can either be consumed or applied on the scalp and is among the best hair loss products. Get more information about fighting hair loss on Capillus. There are many hair loss products out there, but the ones mentioned above are guaranteed to give you the results you desire of a full and beautiful head of hair. Prevent and reduce hair loss by making use of the mentioned hair loss products, ditching stress and eating healthy.